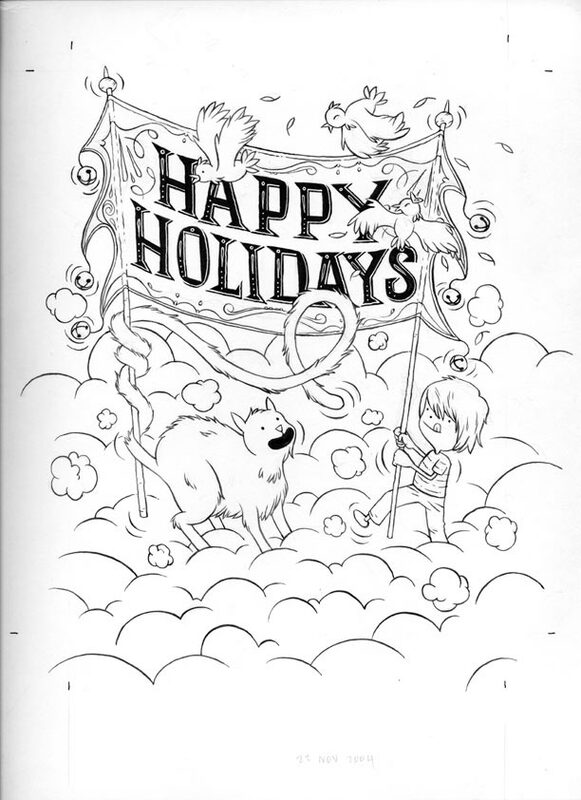 Drawing for the Fantagraphics Holiday card, 2006. 9"x12" on Bristol, with India Ink plus White paint. Add $8 for shipping.